A ribbon-cutting ceremony for the new Jim D. Morris Basketball Complex will be held at JQH Arena (at the new entrance on the south, Bear Blvd. ), Dec. 20 at 1:30 p.m. JQH Arena is located on the Missouri State University Campus. An open-house event for the public is being planned for Jan. 7, from 4-6 p.m. The Jim D. Morris Basketball Complex includes 13,370 square feet of finished space and 35 working rooms for Bears and Lady Bears operations. The $3.7 million facility is being privately funded and includes offices, locker rooms, player lounges and video rooms for both teams, in addition to shared reception, treatment and athletic training space. For the design: Jim D. Morris Basketball Complex. Hammons Field is home to the Springfield Cardinals. The Springfield Cardinals organization is a Bronze Member and serves on the Board of Directors of the Springfield Sports Commission. We are proud to support our members! Congratulations Springfield Cardinals! Minor League Baseball and the Sports Turf Managers Association (STMA) announced on Thursday that Hammons Field has been named the 2013 Double-A Field of the Year. It marks the second time that Hammons Field has won the award, for which all 30 Double-A teams were eligible. The Springfield Cardinals and Hammons Field first captured the prestigious award in 2008. 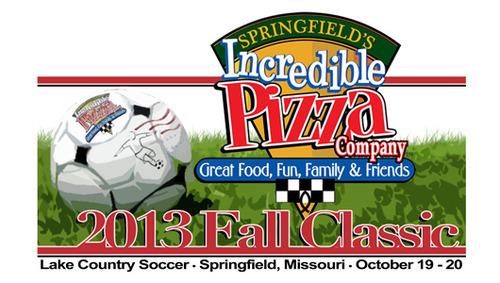 About 4,000 people are expected in Springfield for the 2013 Incredible Pizza Fall Classic Youth Soccer Tournament Oct. 18-20 at Lake Country Soccer. Boys and girls youth teams from a five-state area will compete in the tournament in 12 age brackets over the weekend event. Admission for spectators is free. For more information, visit www.lakecountrysoccer.org. Springfield, Missouri – More than 50 tennis players and over 500 players are expected to take part in the 2013 USTA League Missouri Valley Section Championships, which are being held September 26 – October 1 at Cooper Tennis Complex in Springfield, Missouri. Recipients of the Springfield Sports Commission and Ozarks Sports Zone “1 Awards” were honored Tuesday, July 30, during a ceremony at the Ramada Plaza Hotel & Oasis Convention Center. The event honored area scholastic athletics from the previous year by recognizing the best athlete, teams and specialty awards (or the “1”) in various categories. Four nominees were chosen in each category based on a combination of honors, statistics, team success, individual performance and citizenship. 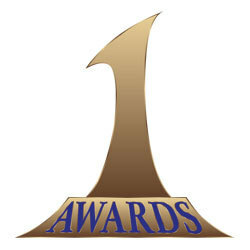 Recipients of the 1 Awards were determined by online voters. More than 30,000 votes were tallied. For more information, call the Springfield Sports Commission at 417-881-5300. Springfield’s Miracle League got a financial boost Tuesday thanks to a group of baseball teams in the city for a championship tournament. Premier Baseball and its member families raised $1,450 for the Miracle League program in Springfield, operated by the Springfield-Greene County Park Board at the Bobby and Betty Allison Miracle League Ball Field. Miracle League Field was built especially to help players with physical or developmental disabilities to hit, run, catch and play ball. This the second year Premier Baseball has assisted the Miracle League program in Springfield. In 2012, $1,037 was provided by Premier Baseball and the organization contributed 100 flex tickets to a 2013 Springfield Cardinals baseball game. Some of the best young baseball players in the United States are competing in the Ozarks through July 1 for the Premier Baseball Incoming Freshman Championship. Thirty teams are involved in the event with teams hailing from Kansas, Massachusetts, Missouri, New Mexico, New York, Texas and Wisconsin. Seven local teams are participating, including four Midwest Nationals teams along with the Willard Tigers, SW MO Braves and Southwest Rawhide. Premier Baseball has partnered with the Springfield Sports Commission and Convention & Visitors Bureau to bring about 1,000 people to Springfield, including fans, families and players. The next two weekends, Springfield, Mo. soccer fans will get to experience competition from all over the state during the Missouri Youth Soccer State Cup at Lake Country Soccer. The tournament brings over 140 teams to the area during the pool play Weekend and 40 teams during championship weekend. May 13 was the opening night for Fieldhouse Sportscenter. The venue is a 46,000 square foot, four court sports facility featuring basketball and volleyball, specializing in leagues and tournaments. 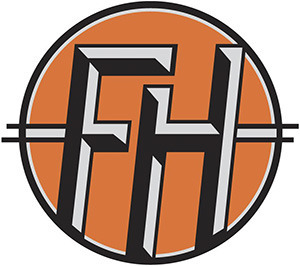 The Fieldhouse Sportscenter also features the Fieldhouse Grill and dining area, four party rooms, arcade and spacious parking.